Comfortable bright and spacious, this well-loved home offers something for everyone in all seasons. Whether you are year-round residents or weekenders, enjoy the close proximity to Woodstock, Onteora schools, a seasonal view of the Ashokan Reservoir, and only a 15 minute ride to Uptown Kingston and the Thruway. 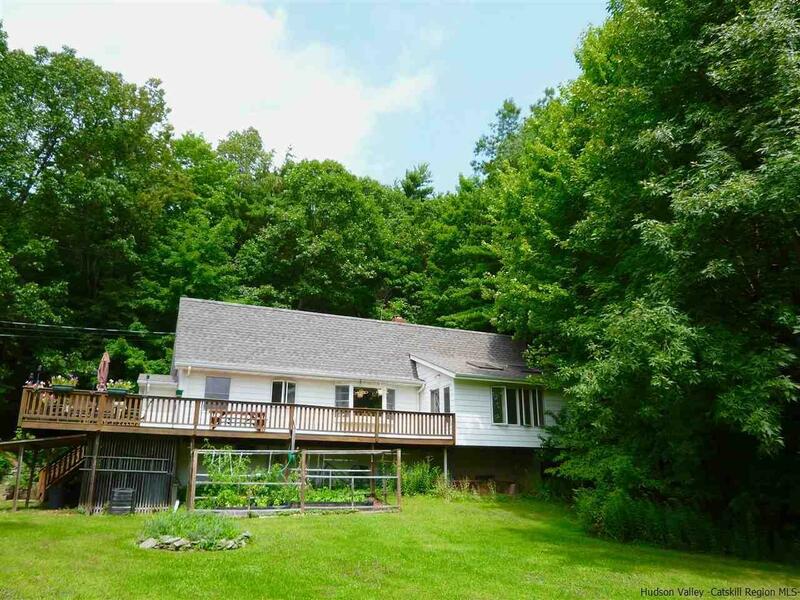 Just 10 minutes over the mountain from Woodstock is the hamlet of Glenford and tucked away on a no-outlet town maintained street you will find this lovely 3 bedroom 2 Bath home. With a large wraparound deck, bright and spacious year round sunroom with skylights, very large living room with fireplace, bright and sunny updated kitchen, the space feels larger than its footprint. Add to that 3 good sized bedrooms, 2 baths and a full walk out basement currently used as a workshop with heat and water. Well maintained and with updates which include a high efficiency propane heating system and remodeled kitchen (with tons of cabinets), a fenced in vegetable garden, and a convenient yet private location, you can move right in and enjoy all the wonderful things to do in the area. Fishing, cycling and eagle watching at the Ashokan or Esopus Creek, skiing just 25 minutes away at Belleayre, hiking galore, restaurants and farmers markets close by, and a beautiful forest right in your very own back yard.